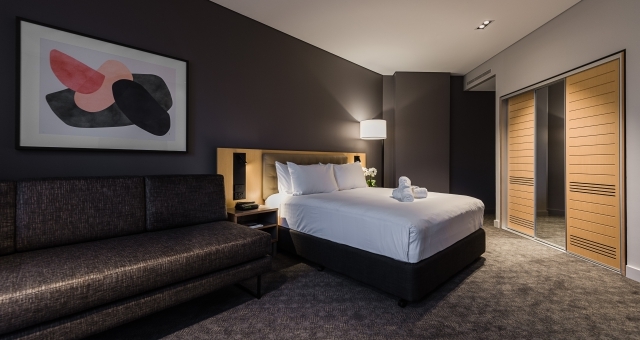 Novotel Sydney on Darling Harbour has commenced a AUD$15 million room refresh across each of the hotel’s 525 guest rooms, unveiling the completed first seven rooms now available to the public. Offering five room types from the Superior Pyrmont View to the Executive Loft Suites, the spacious rooms feature views of Darling Harbour and the Sydney city skyline, providing ample opportunity to take advantage of the harbourside location. 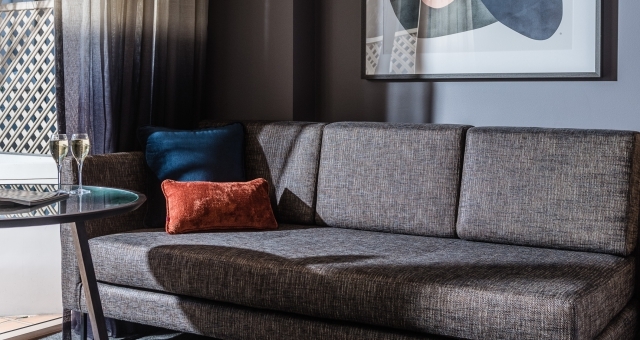 The refreshed design is aesthetic and functional, modern and timeless, featuring warm colours, new lighting concepts, heavenly new King Koil beds by A.H Beard, state-of-the-art WiFi connections, 48-inch HD smart TVs and media hubs including comfortable working and dining areas. Featuring statement artworks, plush soft furnishings spotlighting warm, earthy tones which come together to create a contemporary and comfortable space for those travelling for business, leisure seekers and families alike.